Rory has convened a meeting with representatives from Appleby Heritage Centre and Carlisle College to discuss the future of the centres’ apprenticeship programme. For many years Appleby Heritage Centre has been working in partnership with Carlisle College to provide apprenticeship opportunities to young people across the Eden Valley, but the centre’s future and its ability to delivery apprenticeship programmes was thrown into doubt following the merger of Carlisle College with Newcastle College in April 2017, when their application to Newcastle College was unsuccessful, and Carlisle College ceased sub-contracting. After visiting Appleby Heritage Centre in May, Rory Stewart vowed to help and immediately wrote to the Minister for Education, Anne Milton, requesting to meet her in Westminster to highlight the importance of the centre and ask for her help to allow it to continue providing apprenticeships to young people in the Eden Valley. 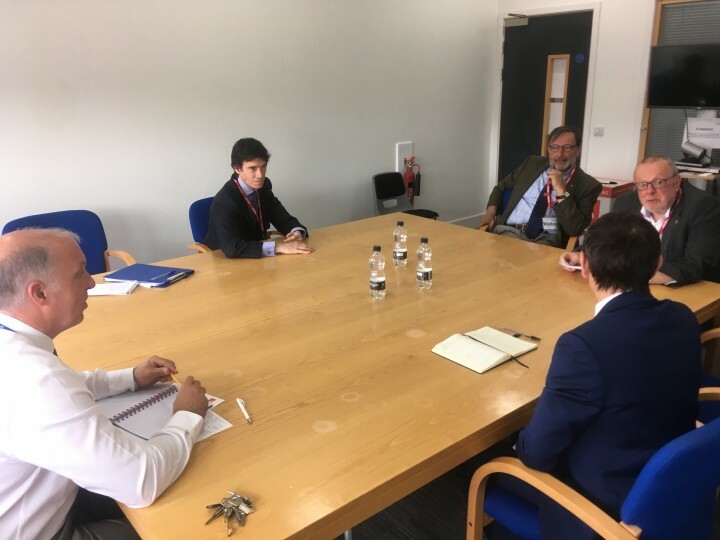 On receiving advice from Anne Milton and her private office, Rory Stewart then chaired a meeting with Principle of Carlisle College and Appleby Heritage Centre in Carlisle to try and find a solution. During the course of the meeting the group discussed the challenges and limitations of providing apprenticeships from Appleby Heritage Centre and how these challenges might be overcome. Carlisle College have subsequently agreed to try and provide a ‘transition contract’ with additional funding to give Appleby Heritage Centre more time to look at some sustainable options with support from the college. Eden District Council have also offered to provide support and discussions are ongoing as to how this might look.